These are delicious eaten hot or cold, and are ideal for packed lunches or picnics. Place the chicken in a shallow, non-metallic dish. Mix together the garlic, soy sauce, chile flakes, peanut butter, tomato puree and pineapple juice. Pour the mixture over the chicken and toss well to coat all the pieces. Cover and leave to marinate for 30 minutes. Thread the chicken pieces on to wooden skewers. Place them under a hot grill for 15 minutes, turning frequently. until evenly browned and cooked through. 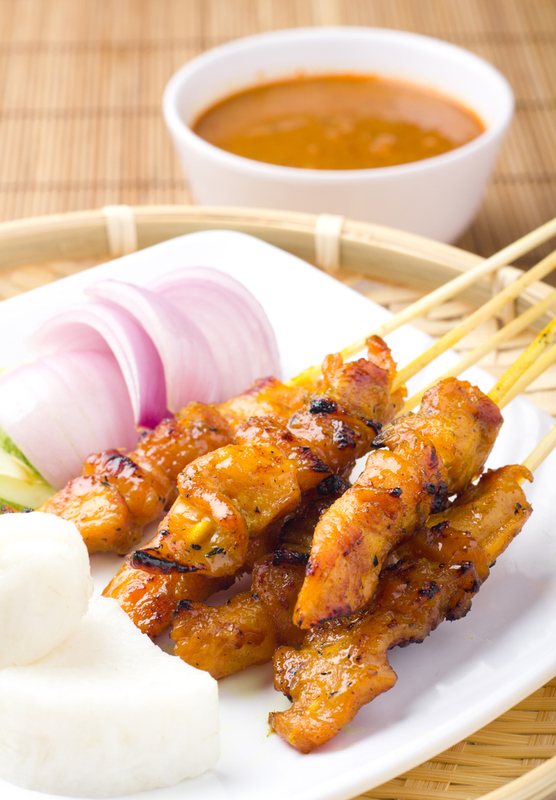 tip: Soak the wooden skewers in water for 20 minutes before using, to prevent them from burning..